I Remember When I Was a Kid…. I can’t remember all the details of this memory, but I can express the most important part which is the heart of this post. Treat others the way you would want to be treated. As this memory comes back to my mind I wonder if I am living by those words that captivated me so long ago? What does this little rule mean and am I really living by it’s code of conduct? Unfortunately I can say that I have fallen far from living my life by this. It seems that I never understood what the term ‘others’ meant, does this mean my family only, or people who believe like me, or only to those who treat me well? If you love only those who love you, what goodness do you have? And if you are doing good to those who treat you well, what goodness do you have? And if you borrow from those you expect to get something back, do you deserve any thanks for that? Love your enemies, do good to them, and lend to them without expecting anything in return. Then your reward will be great and you shall be children of Love for Love is kind toward the ungrateful and malicious. From what I just quoted it seems others means everyone, not just family, friends, or anyone who we know will return our kindness. We are supposed to be kind to those who will never return our kindness for only then will we truly understand the concept of friendship, love, and kindness. Why have we twisted this simple saying? Why do humans use their intellect to twist the simple meaning of life and love? Loving your neighbors does not mean love your family or love those who think like you do, if that were true it would say love your brother or love your family but it doesn’t, it says to love your neighbor and neighbor is define as a person who lives near another or one’s fellow human beings. Personally I see a neighbor as anyone who is traveling with you on life’s journey in this present moment, for example when you walk into a store, everyone around you is your neighbor. 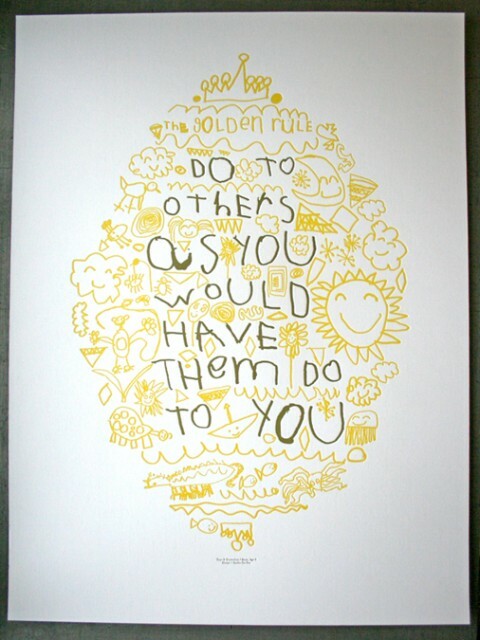 I will not twist the simple meaning of the golden rule anymore for now I see that it was designed to help me become a better vessel of Love, love for others and for myself. If I want to be more loving then I must start giving more love, for the only way to receive is to give. I lost that ball a long time ago but the memory stayed within me, waiting for the right moment to reveal itself and change my perception, for nothing is done in vain, everything has meaning and purpose. This entry was posted in challenges and adventures, golden rule, life lessons and tagged I remember when I was a kid. Bookmark the permalink. 1 Response to I Remember When I Was a Kid…. Great post. A rule all need to live by. If we follow it for all we meet that would cover everyone; family, friends-those who would return the favor to us or not. We find it difficult to follow, only because we see love as subject to emotion and not an act of the will. In this way we can love others in spite of their failing, even if they themselves fail to understand this concept of love.